At New York’s western tip a mere 30 miles lies between the shores of Lake Erie and those of Lake Ontario. These few miles are delineated as an international border by one of North America’s great natural wonders, the Niagara River and its thunderous falls. 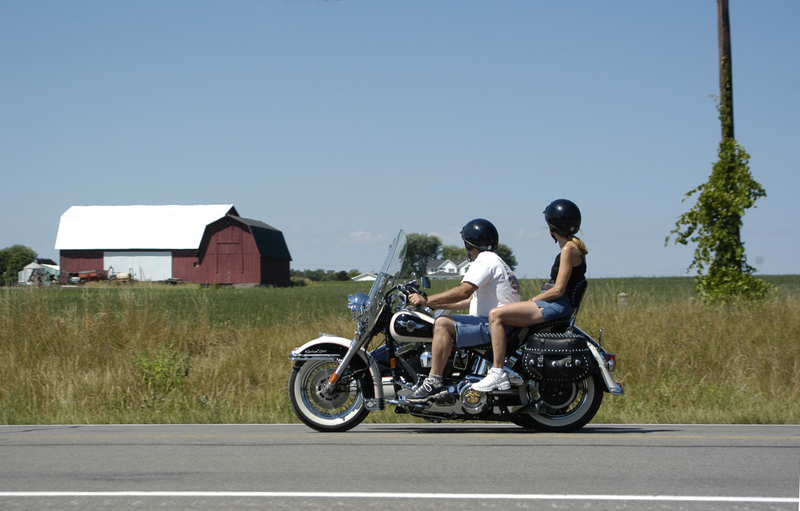 Along the shore of these two Great Lakes runs one of the first scenic byways established in America, the Great Lakes Seaway Trail. Yet, only 60 miles to the south of Lake Ontario—and half that west of the Lake Erie–are the Allegheny Mountains with their convoluted maze of valleys that proved so daunting to early pioneers and provide such delight for modern motorcyclist. Between the lakes and mountains lies a region of orchards, farms, and vineyards crisscrossed by bucolic touring roads and with rare hidden wonders like the naturally occurring eternal flames by a waterfall in the Shale Creek Preserve. It’s one of my favorite touring regions. Buffalo is located on the shore of Lake Erie at the head of the Niagara River. Although the second-largest city in the Empire State it only has a population of just over 260,000—about the same as in 1890. 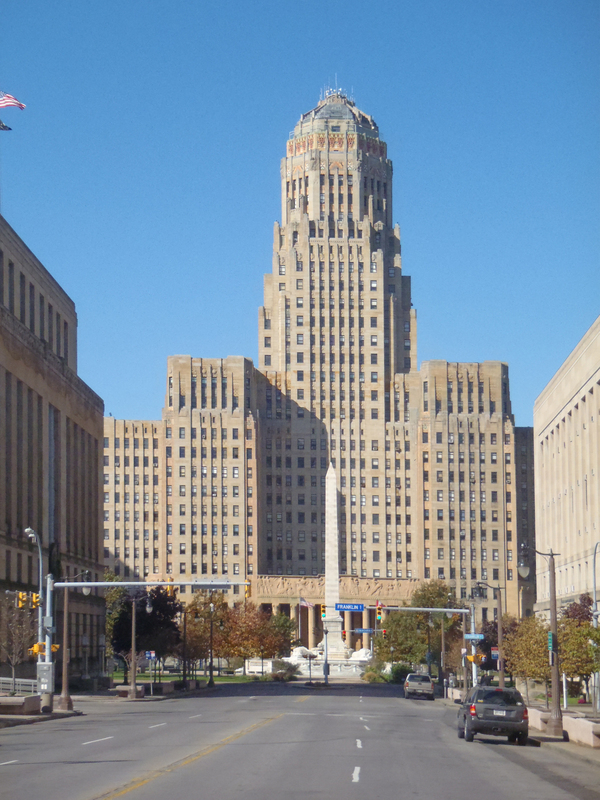 Architecturally this is one of the most important cities in our country, especially for Art Deco structures, but riding into Buffalo is like slipping into a pair of Armani pants that are three sizes too large. The streets are exceptionally wide, but almost devoid of traffic, and for rent signs can be seen in upper windows of amazing buildings where, if this were any other city, waiting lines for occupancy would be years long. There are only a few people on the street and it feels somewhat like being a pebble rattling around in a can. There is plenty to do here even when the Buffalo Bills or Buffalo Sabres aren’t playing home games. 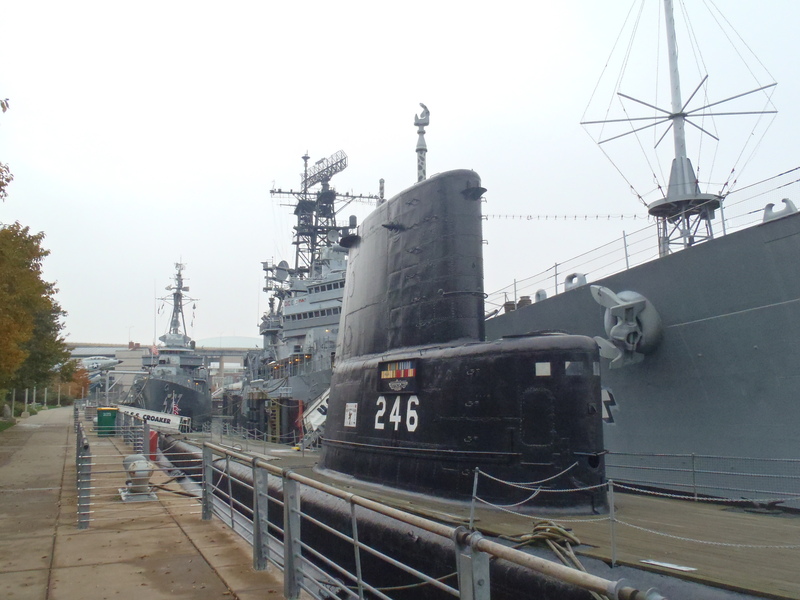 There’s the not-to-be missed Buffalo Naval Park, the Pierce-Arrow Museum, and an outstanding off-Broadway theater district. Then again, one can simply indulge in the city’s amazing “foodie” scene. Popular legend has Teressa Bellissimo in the kitchen the night of October 30, 1964 when her son and some of his friends stopped by the family bar. Being an Italian mother she had to feed them and the only things available were some discarded chicken wings. She broiled them, covered them with a sauce made of Frank’s Red Hot Sauce and butter, and served the wings with a blue cheese dip. Her husband tells a different story and her son yet a third, but all agree that it was Teressa who first made them at the Anchor Bar in Buffalo, NY. Chicken wings became a local specialty served in bars and pizza joints but the earliest written reference to Buffalo chicken wings didn’t appear until 1983 and the founding of Hooters. This fast-food specialty item still didn’t receive national attention until the Domino’s pizza chain placed them on their menu in 1994. Buffalo chicken wings are now served across North America, Europe, and much of Asia as well as being available in the frozen food section of most supermarkets. 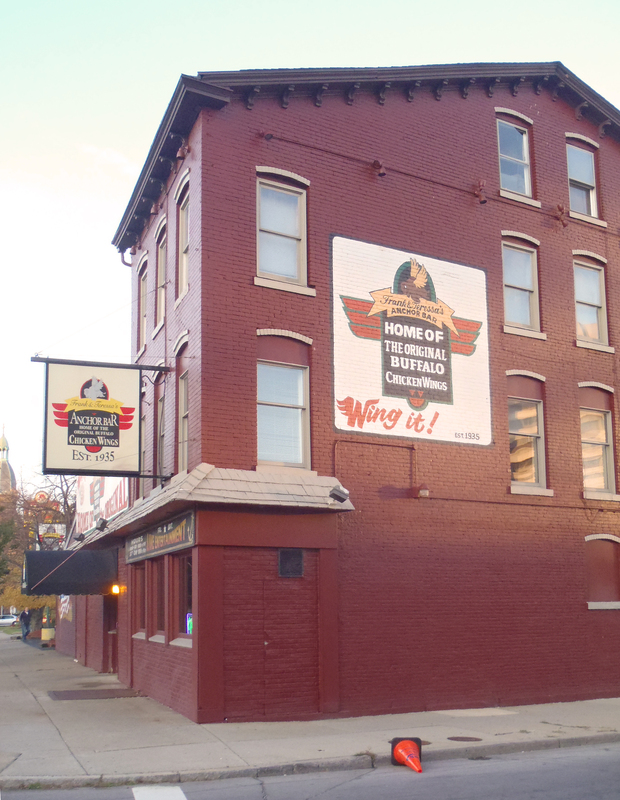 However, if you want to experience original Buffalo chicken wings the place to go is still Frank & Teressa’s Anchor Bar on the corner of Main and East North Street in the Allentown section of Buffalo. After unpacking my gear and covering up the bike I walk the two blocks from my hotel to the Anchor Bar. It’s Saturday night and there is barely standing room in the bar area and I can’t even see the maitre-d’ table at the entrance to the dining room. Okay, there’s always tomorrow and plenty of other places that serve great wings. Sunday I arrive much earlier, but even at 5 PM there’s an hour-and-a-half wait for a table. Disappointing, but not surprising: it seems that any non-vegetarian politician, celebrity, journalist, or third-cousin to someone who once lived in Buffalo has to stop by for some wings and a beer (Buffalo has some great micro-breweries) when visiting the city. The City of Buffalo has designated July 29th as Chicken Wing Day and the annual Buffalo Wing Festival takes place on Labor Day weekend at Coco-Cola Field (downtown). Restaurants and fast-food chains from around the U.S. and Canada come to compete at this festival where 91,000 attendees polished off 40 tons of chicken wings this last year. The annual sauce-off is friendly, but this is also big business and winning means more than just bragging rights. There are four traditional categories—medium, hot, x-hot, and BBQ—and three creative classes—sweet, spicy, and BBQ—in the competition. This year 3rd place in the medium category went to the Anchor Bar; 2nd to Legend Larry’s in Sheboygan, WI; and 1st to Smokey Bones, a national chain. Legend Larry’s placed in three categories and the Hard Rock Café in Niagara Falls placed in two, so both of these establishments have now moved onto my culinary bucket list. Third time’s the charm, and I manage to locate a tiny rustic table in the busy taproom. 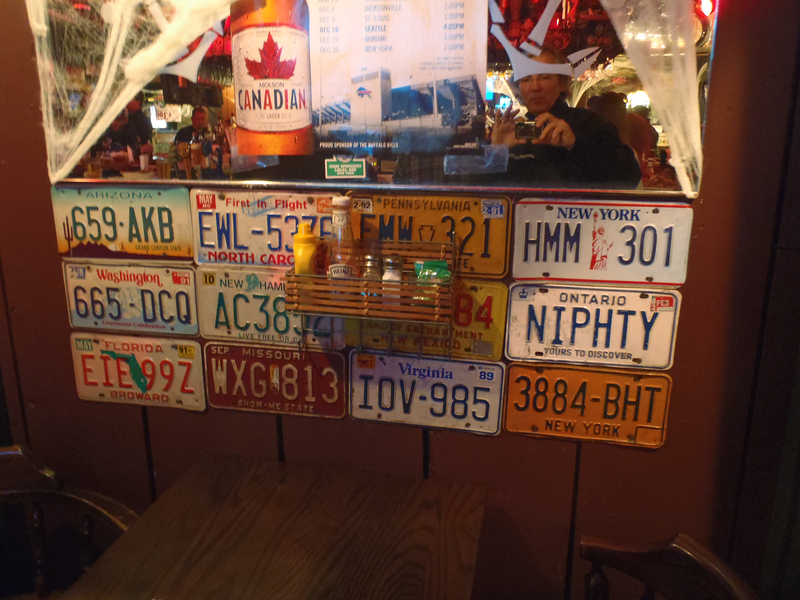 The lighting is suitably dim and the wall tiled in old license plates. 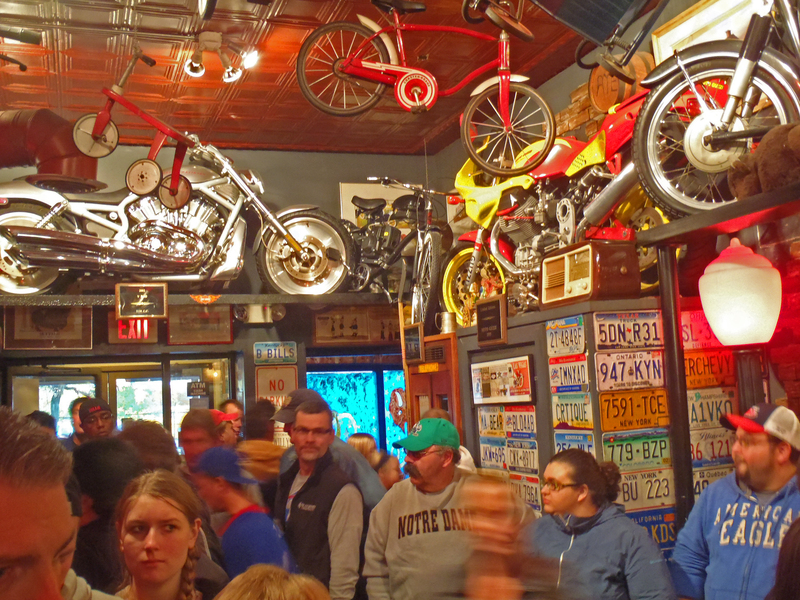 Vintage motorcycles are jammed on high wooden shelves like so many chatkuas with bicycles, baby carriages, and go-toys hanging from the pressed-tin ceiling like piñatas. 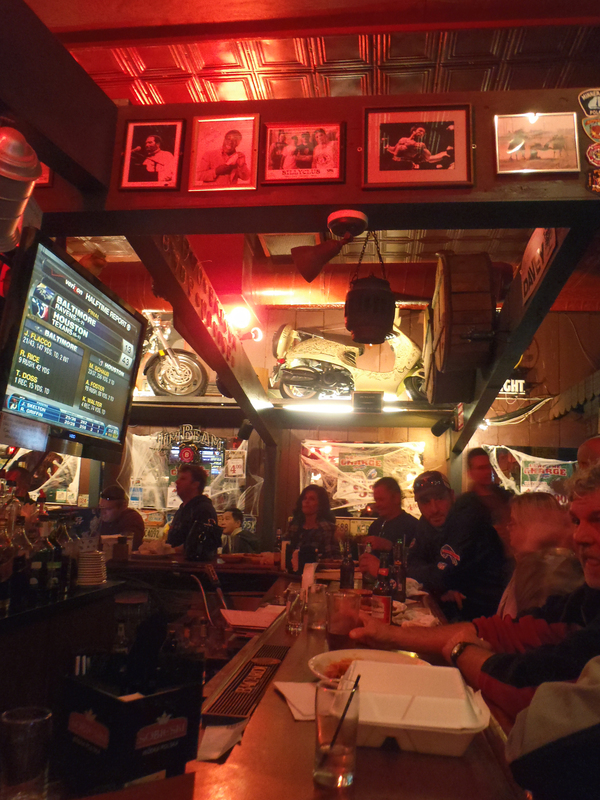 The place is vibrating with energy despite being just an ordinary Tuesday afternoon late in October. Ordering from the lunch menu is simple: just a Lake Effect ale and medium wings for me. It might be the ambiance or perhaps my own expectations. Then again, perhaps almost a half century of making Buffalo chicken wings in this kitchen has infused the molecules of the entire building with a culinary magic that’s second to none. For whatever reason, real or imagined, these wings at the Anchor Bar are the best I’ve ever eaten. The Original Buffalo Chicken Wing Recipe. Some people say that Buffalo chicken wings have to be deep-fried, but the very first ones were cooked in a broiler so, unless you have a Fryolater handy, turn the oven onto broil or 425˚ to bake. Obviously there are many ways to prepare the sauce and the Anchor Bar now has their own line of sauces, however this allegedly is the original recipe. One more point of contention: most purists say never bread the chicken, but since it creates less mess and we’re just having fun I say use the flour. Preheat oven to 425˚F or broil. 1. In a bowl toss the wings with the oil and salt. Add the flour to a large plastic bag; drop in the wings and shake to create a coating. Remove the wings, shake off excess flour, and spread on an oiled or foiled-lined cookie sheet leaving room between each one. Halfway through baking or broiling turn the wings over. 2. Mix all the sauce ingredients in a pan, and simmer over low heat. 3. When the wings are thoroughly cooked, place them in a large mixing bowl and add the sauce. Toss with a large spoon or spatula to coat them. Serve with celery sticks and blue cheese dressing on the side.